SI Windows & Doors provides Montreal and the Surrounding Areas with High Quality Entry Doors, available in Fiberglass, and Steel Materials. 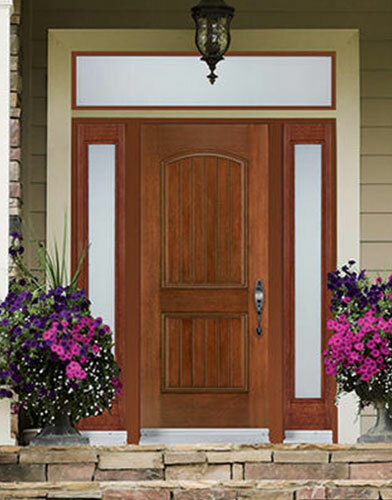 Our Montreal Entry Doors will be sure to give your home that finishing touch and accentuate your curb appeal! We have offer a huge selection of classical steel entry doors that will give your home a simple yet stylish look. Our Design Collection, of European inspiration, feature pure lines that will give your entrance a modern look. 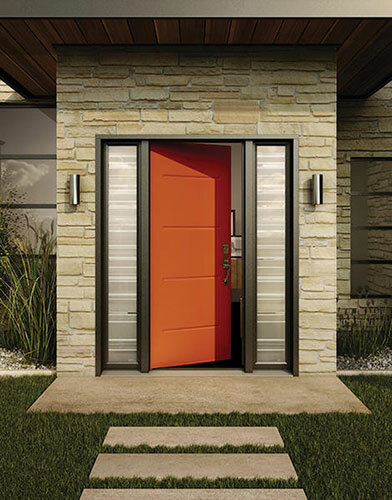 Dare to be different with our modern Steel Entry Doors, we guarantee your neighbors will be jealous of your home’s new inviting style. Our top of the line Prestige Collection will give your home an exquisite and rich touch. These doors are crafted with premium materials giving our customers only the best product for their homes. Our Fiberglass Entry doors offer a timeless look, and our Classical Collection will reveal your desire for elegance and simplicity. These doors are durable, will incur minimal wear and tear, and give your home personality. The “Modern Look’ isn’t for everyone, and our Classical Collection will be consistent with your original taste. Our Prestige Collection Fiberglass Entry Doors feature rich wood grains and will satisfy your desire for authenticity. The finish on our Prestige Collection is a high definition wood grain, and wider, deeper embossments provide an extremely realistic look. High quality windows are available in Hybrid, Aluminum & PVC 100% delivery guaranteed. See for yourself, get on board now. Our mission is to provide the greater Montreal West Island Laval Area with high quality Windows & Doors. Our products are built to last, and are backed by our reputation, and commitment to the people who buy them.